The intent of The Enterprise Framework is to provide a more “human consumable” understanding of the artifacts required in Enterprise Architecture, provide templates and definitions of all of the artifacts required, and provide the Enterprise Architecture community with complete guidance on all of the framework content. The Zachman Framework was originally conceived by John Zachman at IBM in the eighties. Zachman’s framework has become virtually the world standard for expressing and laying out the framework for enterprise architecture and has the tools every enterprise architect needs. 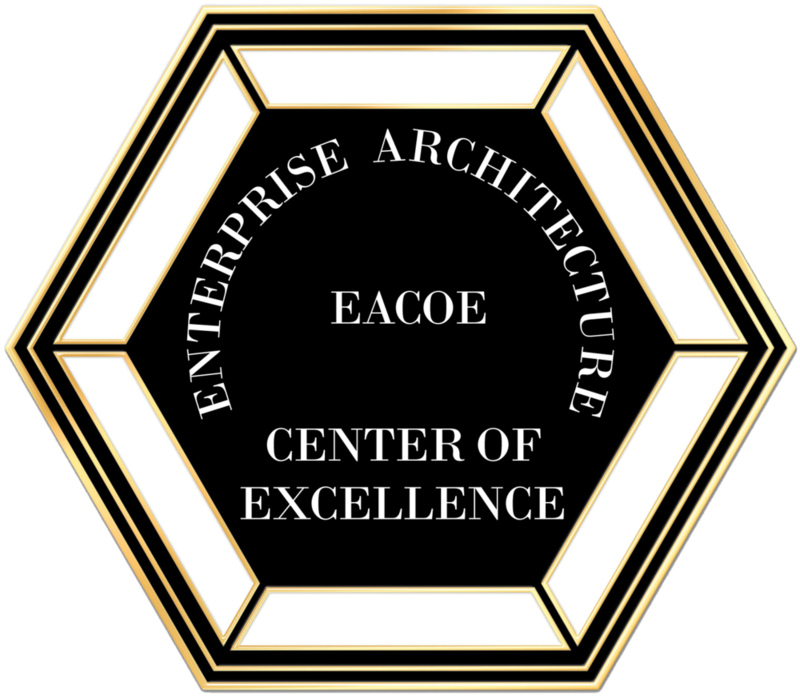 The EACOE has been engaging the Zachman framework since its inception, and has published an “elaborated framework” titled The Enterprise Framework. The frameworks provide a highly structured way of viewing an enterprise. They consist of a two dimensional classification model based on the intersection of six communication questions (What, Where, When, Why, Who, and How) with six models according to stakeholder groups (Visionary, Owner, Designer, Builder, Implementer and Worker) to represent the complete functioning of the enterprise. The EACOE suggests that in addition to stakeholder groups, the Enterprise Framework accurately represents the “transformations from business understanding to enterprise deployment of technology. So the second dimension of the classification has six transformations, and are referred to as Business Descriptions, Business Relationships, Technology Neutral, Technology Specific, and Solution Specific representations. The strong point of framework is that it represents the only complete, non-redundant, and detailed coverage of an organization. Enterprise architecture, defined in terms of the framework, leads to the acknowledgement that there is more to an organization than mere data and functions. There are numerous other issues, multiple locations and timing factors to consider while planning its development.